In many ways Hell or High Water might just seem a very solid bit of story telling. An oft told tale of cops and robbers perhaps. But that’s to deny the beautifully created layers which actually make its deceptively complex and expertly crafted plot appear so comfortably straightforward. It’s simply a breeze to watch, an absolute pleasure to view; an old fashioned movie of the kind you didn’t think they made in Hollywood anymore. Its premise – two brothers robbing a series of local banks while pursued by a cop who’s about to retire may well seem familiar, but it’s handled with such intelligence and character that even on those merits alone it would stand up to scrutiny. What makes the movie linger in the mind, aside from the four excellent central performances from Chris Pine and Ben Foster as the brothers, and Jeff Bridges and Gil Birmingham as the Texas rangers on their trail, is the incredible timeliness of the story which almost makes it appear a satire. This is a Texas still gripped by recession, with banks still repossessing properties and livelihoods, and where every single person seems to carry a gun. In Hell or High Water just the idea of walking into a bank wielding a weapon suddenly becomes oddly amusing, as every single other person in the bank might suddenly whip out a shooter too. There is something faintly ridiculous about this scenario, ripped from life and beautifully depicted without comment. The script, by Taylor Sheridan, also responsible for the underrated Sicario, is excellent – each of the characters is wonderfully complete and rounded. In the brief time they are on screen, we feel like we have properly got to know them. Although we know Jeff Bridges could phone in this kind of grizzled cop if he wanted, he is as excellent as ever. Chris Pine too, usually playing love interest dashing heroes, is here allowed to properly play his age and have a teenage son and a broken marriage. It’s the most complex work we’ve seen him do on screen in a long time, and although we’ve always suspected he was capable of it, it’s always nice to see someone being allowed to play to the extent of their obvious skills. It’s nice to see Ben Foster given something to get his teeth into, and Gil Birmingham has a great deal of fun satirising his usual token native-American roles. The pictures on the screen are beautiful too. Giles Nuttgens’s cinematography is almost elegiac in the way it makes the rundown, broken world in which film takes place look so astonishing. David Mackenzie’s direction is taut and pacy, which makes the slightly unsettling profundity of some of the storytelling sneak under the radar and get under your skin without you noticing. It’s an impressive, and surprising feat. It’s a film which you’ll be thinking about for sometime afterwards. 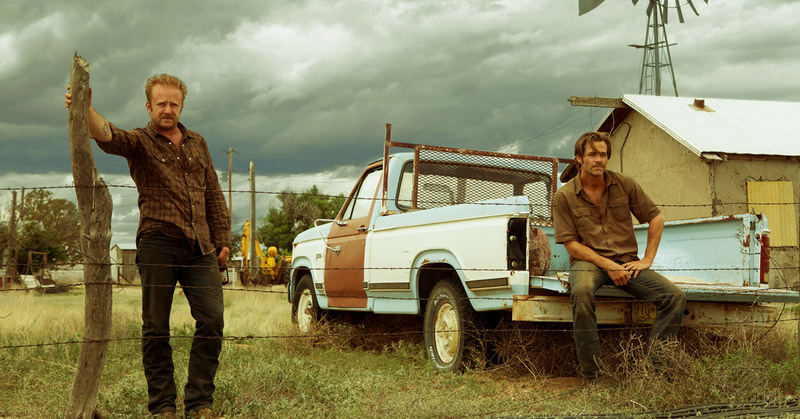 Hell or High Water is out in UK cinemas on Friday 9th September and is highly recommended.